Treat her to a romantic and stylish gift. This effortlessly chic 9ct white gold double heart pendant is set with delicately sparkling diamonds for a glamorous finishing touch. 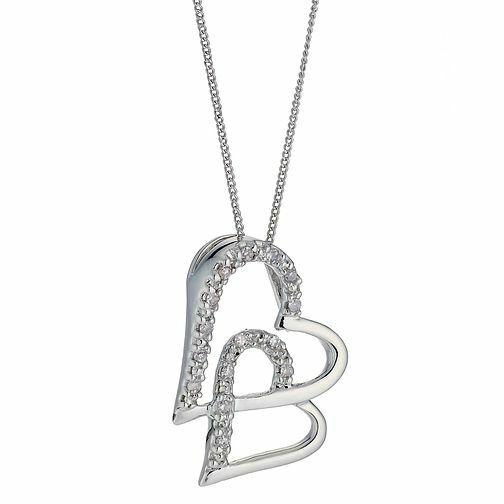 9ct White Gold Diamond Set Double Heart Pendant is rated 5.0 out of 5 by 2. Rated 5 out of 5 by Anonymous from Great gift My girlfriend loved it for her birthday. The diamonds look good and the chain is thin which she prefers.